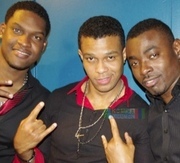 HARMONIK OFFICIAL PRESS RELEASE AS THEY UNVEIL THEIR IMMEDIATE FUTURE PLANS + FLORIDA PROMOTER BIGGY WANTS GROUP TO....(GET ALL THE DETAILS NOW)! *HARMONIK OFFICIAL PRESS RELEASE AS THEY UNVEIL THEIR IMMEDIATE FUTURE PLANS! *FLORIDA PROMOTER BIGGY WANTS HARMONIK TO GET THE STREETS BACK!